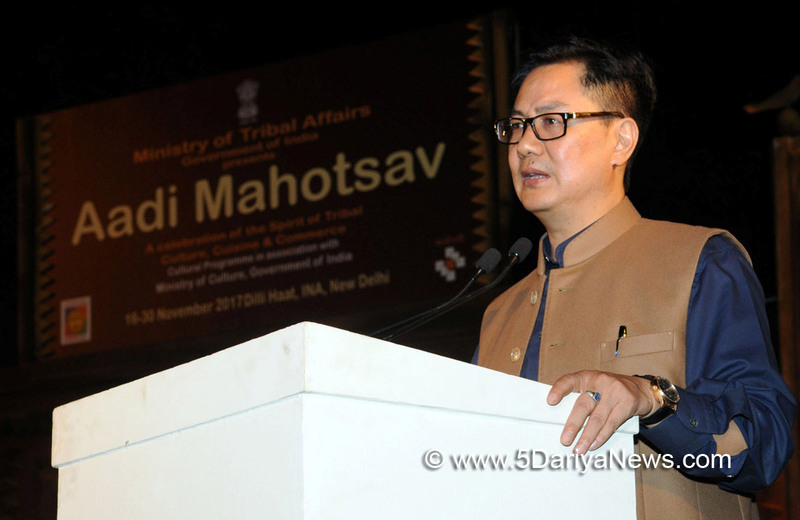 Amid the slugfest between ruling BJP and the Congress on the Rafale aircraft deal, Union Minister of State for Home Kiren Rijiju on Friday criticised the Congress-led UPA government's "irresponsible" attitude towards strengthening Indian defence forces. "Can a party which ruled for 5 decades behave so irresponsibly? Congress government cared least to strengthen our forces and more in commissions," Rijiju said in his tweet. Rijiju's remarks came following the Congress accusation against the government that it negotiated an overpriced deal to buy 36 Rafale fighter jets from France for Rs 58,000 crore, causing "insurmountable loss" of taxpayers' money.The Congress said the Bharatiya Janata Party (BJP) government had agreed to pay for each Rafale aircraft, three times the price that was negotiated in 2012 by the previous UPA government it led.Chief of Air Staff Air Chief Marshal Birender Singh Dhanoa, however, on Thursday brushed aside the charges, saying the deal negotiated by the current government was better than the one finalised earlier by the UPA government.French company Dassault's Rafale had emerged as the lowest bidder in an international tender in 2012 but the final deal for 126 aircraft was never closed by the UPA government.By the time the BJP-led government came to power in 2014, the deal was deadlocked with Dassault refusing to certify key components of the jet which were to be built by the Hindustan Aeronautics Limited, unless a series of conditions were met.With successive Air Force chiefs telling the government that India's air defence would be seriously affected without the jets being inducted, Prime Minister Narendra Modi had announced an off-the-shelf purchase from France during a visit to Paris in April 2015.The final deal in 2016 was higher than what was on offer four years earlier.